Located just a block from Richmond Centre and the Canada Line, at the corner of Cook & Buswell, Legends Pub & Restaurant has something for everyone. They offer the complete dining and entertainment experience, which features five bigscreen TV's - 20 in total - Keno, a stage for live performances, an innovative sound system, and an exclusive patio ... just to name a few. The West Coast menu includes choices such as salads, burgers, pizza and pasta as well as others. 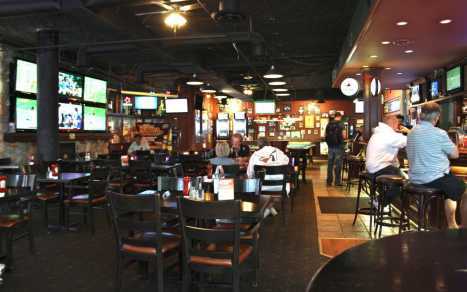 While the restaurant area is separated for families, the pub is very much a sports bar filled with sports memorabilia, a large fireplace, 2 pool tables and 5 bigscreen TV's - 20 in total.